Solar permits issued on Oahu plunged 31 percent in September to leave the nine-month total even with the year-earlier period. There were 175 permits issued by the Honolulu Department of Planning and Permitting for solar electrical systems last month compared with 252 in the year-earlier period, according to Marco Mangelsdorf, who tracks rooftop solar permits and is president of Hilo-­based Pro­Vision Solar. 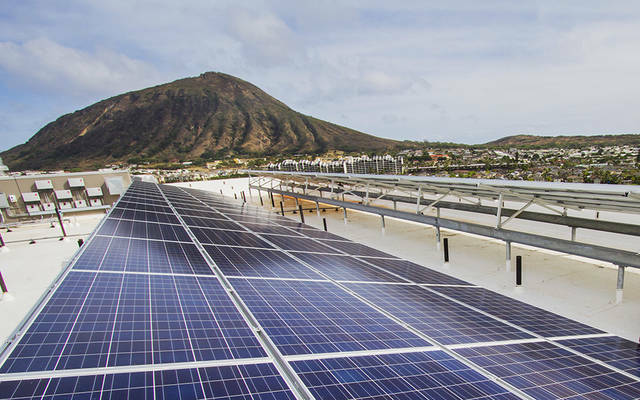 The 1,963 PV permits on Oahu issued through the first three quarters of this year matched the number issued during the same time frame a year ago. The total stated value of those projects was almost $170 million compared to $75 million in the year before. Three of this year’s permits were for utility-scale PV systems pulled by Moss and Associates and accounted for about $86 million. On the energy storage front, 60 percent of PV permits included batteries. On Kauai, 232 PV permits were issued through the first nine months of this year, representing a 57 percent decline from the 534 issued a year ago. “Across the islands, the PV solarcoaster has chugged along at differing speeds so far this year with a 25 percent increase in permits on Hawaii island, no change on Oahu and down 18 percent for Maui County (as well as down 57 percent on Kauai),” Mangelsdorf said.